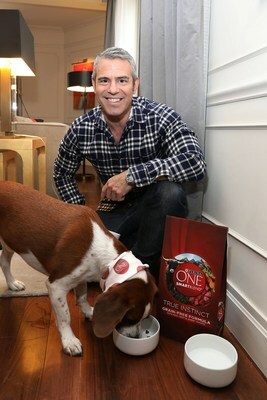 NEW YORK, April 20, 2017 /PRNewswire/ -- Purina ONE® celebrated its ONE Difference campaign today with the help of television personality Andy Cohen and his former shelter dog Wacha. The talk show host joined the brand and North Shore Animal League America (NSALA) at a library in New York City to name Wacha an honorary "Mutt-i-gree" for the day and help lead a lesson with area elementary school students. The event kicked-off Purina ONE's ongoing initiative that celebrates how a single change can make a positive difference in the life of a dog. For the second consecutive year, the ONE Difference campaign will benefit NSALA's Mutt-i-grees, a shelter-led academic curriculum that brings shelter dogs into classrooms and libraries, allowing students to engage with the pets while learning lessons in emotional competence, academic achievement and social awareness. "We're happy to continue our partnership with Andy Cohen and NSALA, and love the fact that Wacha was able to serve as our honorary Mutt-i-gree at the library today," said Joe Chatman, Purina ONE brand director. "Andy's passion for animal welfare, and the smart curriculum from NSALA, helps us reach beyond feeding animals in shelters, and enables us to fuel humane education that ultimately benefits both the dogs and students involved." As part of the program, Purina ONE will donate up to $20,000 to NSALA in support of the Mutt-i-grees curriculum. In order to reach the maximum donation, and demonstrate the positive difference smart nutrition can make, the brand is inviting dog owners everywhere to take the Purina ONE 28 Day Challenge by switching their dog's food to Purina ONE SMARTBLEND. For each person who signs up at www.PurinaONE.com/MakeONEDifference between April 20 and May 31, the brand will donate $10 to NSALA to help further expand the Mutt-i-grees curriculum across the country (up to $20,000). "Those who know me, know that Wacha is my everything, so we took the 28 Day Challenge last year and I switched him to Purina ONE Healthy Weight Formula. He clearly loved the taste, and I noticed a big difference in his energy level and the texture of his coat," said Cohen. "Wacha and I were introduced to the Mutt-i-grees curriculum last year and saw first-hand how it changes the lives of the students involved, so we're thrilled to channel some of Wacha's new-found energy into this program." "Purina ONE's generosity will continue to provide us with the tools and resources needed to extend the reach of Mutt-i-grees and help nourish the lives of both students and rescue dogs across the country," said Joanne Yohannan, senior vice president of operations at NSALA. Mutt-i-grees was developed by The Pet Savers Foundation, an affiliate of NSALA and Yale University School of the 21st Century. More than 4,000 schools and libraries nationwide participate in the program. 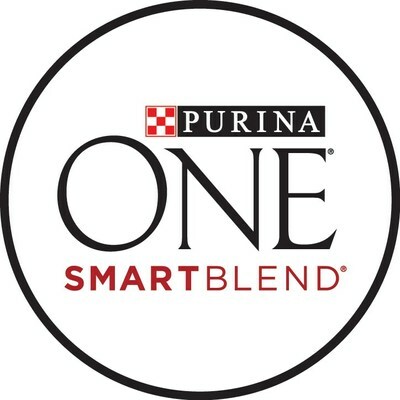 For more information about the Purina ONE Difference campaign and the Purina ONE SMARTBLEND formulas, visit http://www.purinaone.com/MakeONEdifference. It's there where dog owners can sign up for the 28 Day Challenge, view videos from other dog owners who have switched, and use a tool to find out which formula is right for them. Purina ONE helps support a dog's whole body health every day and throughout his lifetime, with formulas that address his changing needs at each life stage. Purina ONE nutrition is recommended by veterinarians and proudly crafted at Purina-owned and operated U.S. facilities. Nestlé Purina promotes responsible pet care, community involvement and the positive bond between people and their pets. A premiere global manufacturer of pet products, Nestlé Purina PetCare is part of Swiss-based Nestlé S.A., a global leader in nutrition, health and wellness. North Shore Animal League America - Home of the Mutt-i-gree® - headquartered in Port Washington, NY, is the largest no-kill animal rescue and adoption organization in the world. The Animal League reaches across the country to rescue, nurture and adopt 20,000 pets into happy and loving homes each year. Over the past decade, the Animal League saved over 200,000 lives and has saved 1,000,000 animals since its inception. "Like" us at www.Facebook.com/TheAnimalLeague, follow us at www.Twitter.com/AnimalLeague. To learn more about animal rescue and welfare, visit www.AnimalLeague.org. Beginning on 4/20/17 and ending on 5/31/17 (the "Promotion Period"), Nestlé Purina PetCare Company ("Purina") will donate $10 to North Shore Animal League America ("NSALA") for each new consumer who registers for the Purina ONE 28 Day Challenge subject to a maximum donation of $20K. For more information regarding Mutt-i-grees, visit http://education.muttigrees.org/.